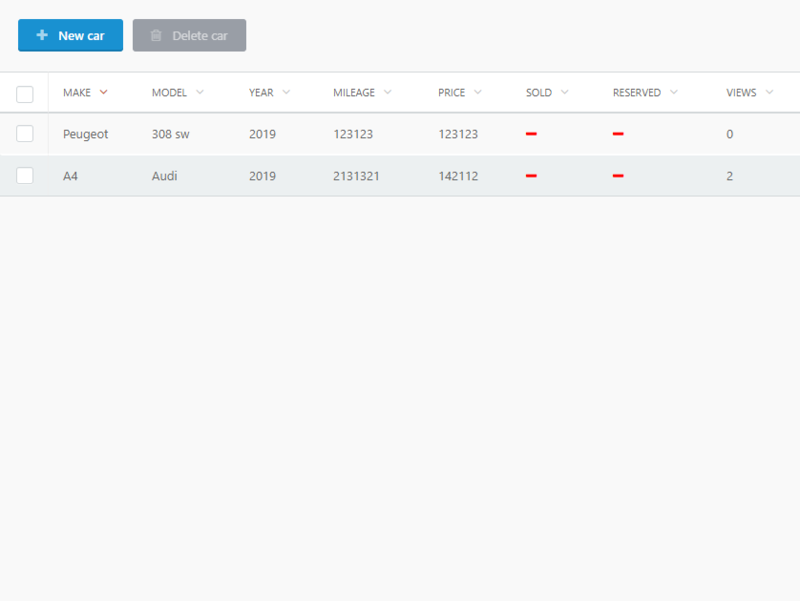 Car sales plugin with forms to create a car with it's equipment. 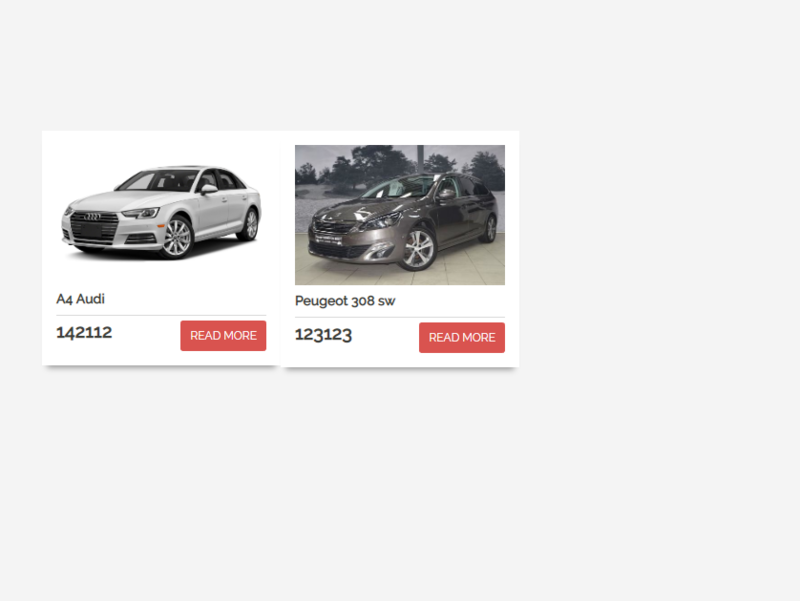 Easily display cars on page with component. 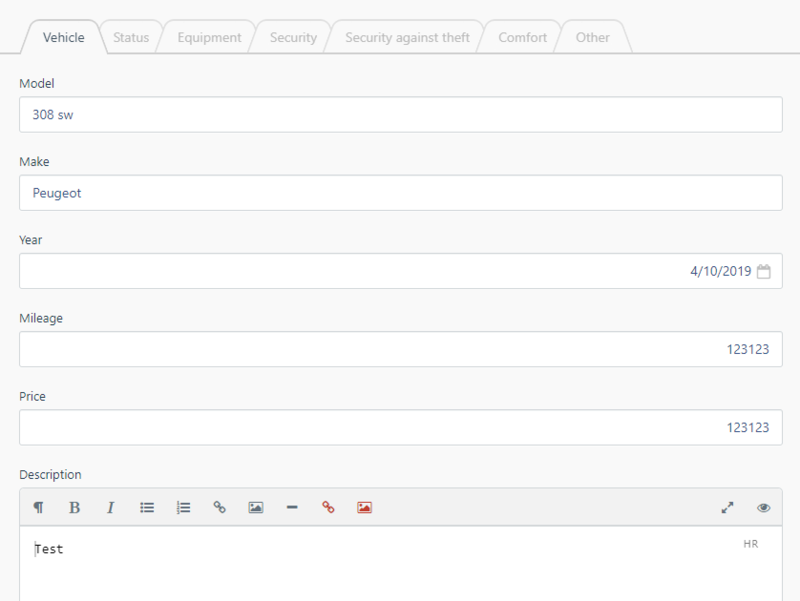 You can configure component with enabled options or just extend a plugin and modify as you see fit. Design for component is set and easily changed/extended. Plugin has two components. 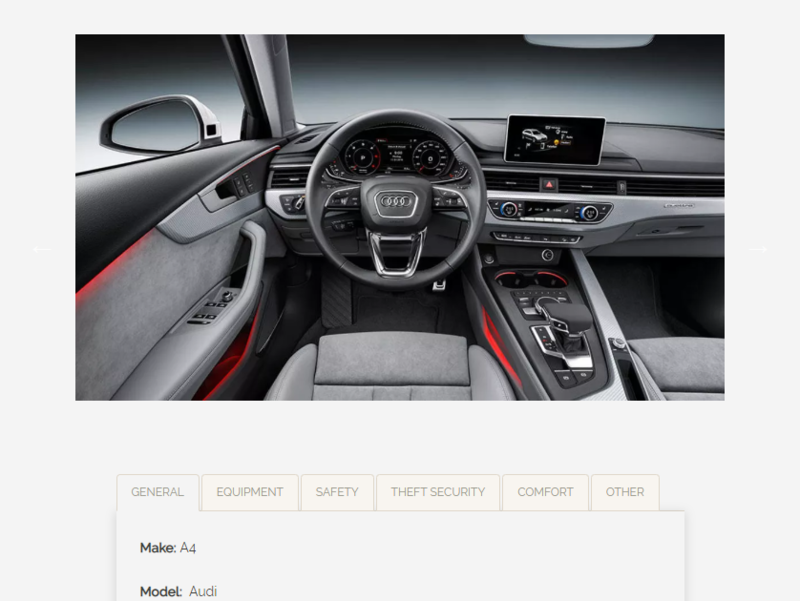 Car list: In car list component you can choose which cars to display. Displaying sold cars, ordered cars, how many cars and sorting type. Also development option to give you raw data on screen for easier understanding object properties. 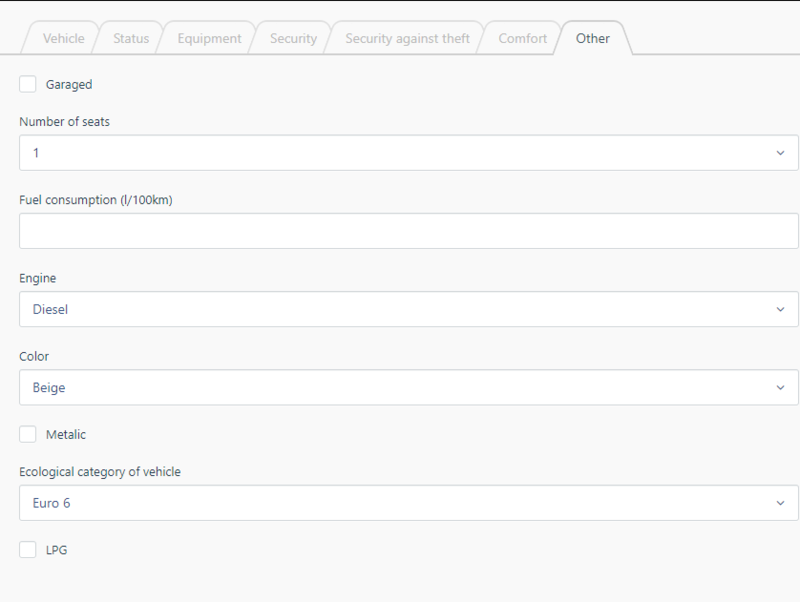 Car details In car details component you can fetch car by id and option for development display same as on car list. Both components have design created in bootstrap which isn't complicated due to changing design on other websites. This serves only as a example how to display properties. You can read more about it in yaml files located in plugin files.